Also in Thursday afternoon's round-up of news briefs thriller Maniac is heading to North American theaters. An Icon Productions exec joins The Weinstein Company as head of acquisitions. And an Artist actress will replace Marion Cotillard in Oscar-winner Asghar Farhadi's follow-up project. Also in Monday afternoon's round-up of news briefs, The Producers Guild launches an online jobs board. The Weinstein Company's The Intouchables will be feted by Christopher Reeve foundation; Henry Rollins takes a role in an upcoming thriller; and remembering French filmmaker Chris Marker. Also in Thursday morning's round-up of news briefs, following news of today's Venice Film Festival lineup comes word Ben Affleck's Argo is heading to another European film event. British independent films score their best numbers in years; and a Weinstein Company veteran returns to head their publicity department. Also in Thursday afternoon's round up of film news, The Weinstein Company has scored a round of financing for a division. The Indian International Film Festival sets its lineup, while Steven Soderbergh's Liberace pic picks up a new actor. And West Memphis Three also adds more cast. Also Wednesday afternoon, Jane Fonda picks up a role, Anthony Hopkins and Andy Garcia team for a story about Hemingway in Cuba and Sacha Baron Cohen's midnight screenings outshine Dark Shadow. Remember The Artist, that silent, black-and-white homage to classic Hollywood and awards-season juggernaut that you thought you might have heard the last of after Uggie (and his book deal) went hamming it up down the red carpet at the White House Correspondents' Dinner, or after summer movie season commenced in record-breaking fashion? Ha. Guess what's getting a re-release in theaters — just in time for Mother's Day? I love the first teaser posters for Django Unchained — just vague enough to stir the imagination and just explicit enough to sing the film's epic, violent intentions in a way everyone can hear them. Very retro, very minimal, very... Quentin. You don't need me to explain to you how Harvey Weinstein is half huckster-genius and half megalomaniac witch doctor (even though I have, again and again and again). Find all the evidence you need in Thursday's announcement that Bully — the "controversial" documentary chronicling America's bullying epidemic — would finally receive the PG-13 rating it so conspicuously sought from the MPAA. The best part: It won't even have to trim the offending scene at the heart of all the publicity to date. Surprise! Suckers. 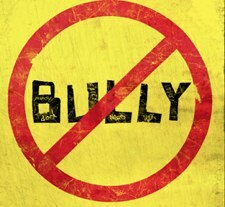 So did all that MPAA ratings nonsense and media outcry pay off for Bully? What do you think? Lee Hirsch's film achieved the year's best documentary opening to date with $115,000 on five screens in New York and Los Angeles — a $23,000-per-theater average that amounted to the best of the week by nearly $10,000 over The Hunger Games. But now that The Weinstein Company has to take its unrated baby out of the doc-friendly megamarkets and into the mainstream wilds, a new report suggests that Harvey Weinstein may be preparing to make the cuts required for a PG-13. Surprise! How do you come to the rescue of the millions of children who need someone — anyone — to do what they can’t: get their bullies off their backs? Director Lee Hirsch has sounded a call to action with his new documentary Bully, which exposes bullying from the front lines.